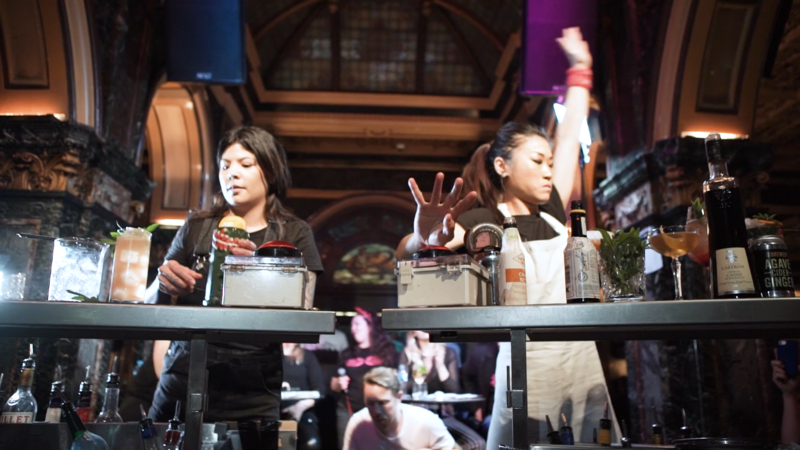 The all female bartender competition, Speed Rack, had its first season in Australia this year. It delivered on its promise to be fierce but just as much as it did in fundraising for Breast Cancer prevention, treatment and awareness. 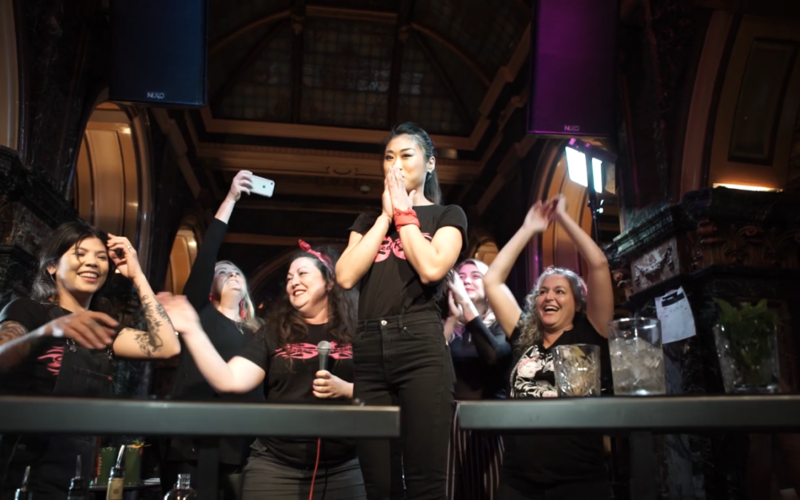 Out of dozens of female bartenders from around the country, it all came down to one night at the Sydney Hilton Marble Bar. 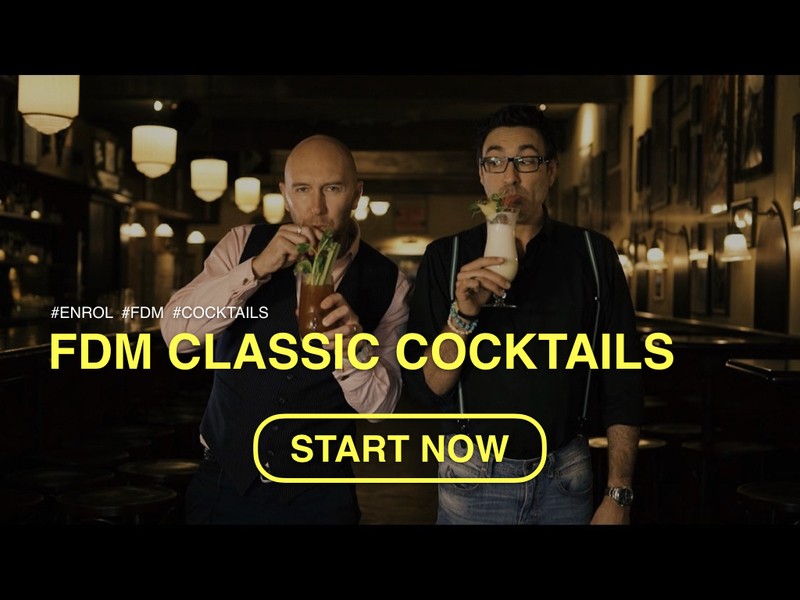 Local Baxter Inn, Sydney resident Whiskey slinger, Priscilla Leong, took out the top spot from the challenging 16 finalists with a cracking 4 cocktail mix up in a time stamped at under 3.08. I caught up with Priscilla on the eve of her departure from a two year bartending career at Baxter Inn. Before she set off to Singapore to continue her journey in hospitality, the polite and humble Priscilla, aka ‘Princess Kinezaki’ shared her thoughts about winning, relationships, gender equality and why it is challenging for women to stick it out behind the bar long term. How does it feel winning the award for Miss Speed Rack Australia season one, you feel good about it all? To be honest, it doesn’t really feel like a win. It just felt like I did my best. I’m so very lucky. I know it doesn’t feel like a win, I guess because I personally don’t like feeling like I was important on a list of who’s best and who’s not. I guess I feel like all the girls are winners, the very fact that they put themselves forward to be a part of this girls champions in their own right. You were a bit of a late arrival on the competition? Yeah, actually I got very lucky. I made a mistake in the first round. I was told that, you’re going to get judged on whether or not you’re using the right ingredients in your drinks. And if you messed up those ingredients, then you would instantly be disqualified, that drink would be disqualified from your round. So when I made that mistake, I threw out two drinks and then started again, so essentially I made six drinks in the space of two minutes, but it meant that I didn’t make it through to the top. So I didn’t actually make it through for the Sydney round, but then one of the girls pulled out and so I was the next in line. Like I said, I feel one of the reasons why I don’t feel like it was really a win, was more because I guess we all wanted to be there for a good cause. It really wasn’t very much like a competition of anything. 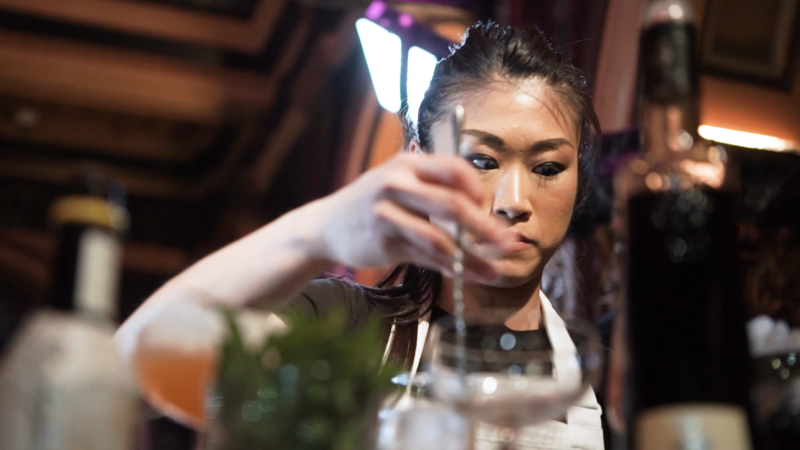 What do you think about all female bartender competition? It depends on what they’re trying to achieve. Personally, I think it defeats the purpose if it’s supposed to be a pro feminist cause. If it’s a charity event, it’s not really a big deal. But yeah, I don’t know. It depends on what you represent. Cool. And you don’t have any problem going up against the boys anyway, do you? No, hell no. I think we’re all created equal. They might be better at something, but everyone’s pretty much equal in my eyes. Guys generally are physically stronger, but that doesn’t mean that they necessarily have more wits above women. I don’t think we should be separated that way, I think if everyone is on the same page with trying to push forward to aim for higher goals, if everyone wants the same goal, then everyone has a fair chance. Doesn’t matter whether you’re male or female. 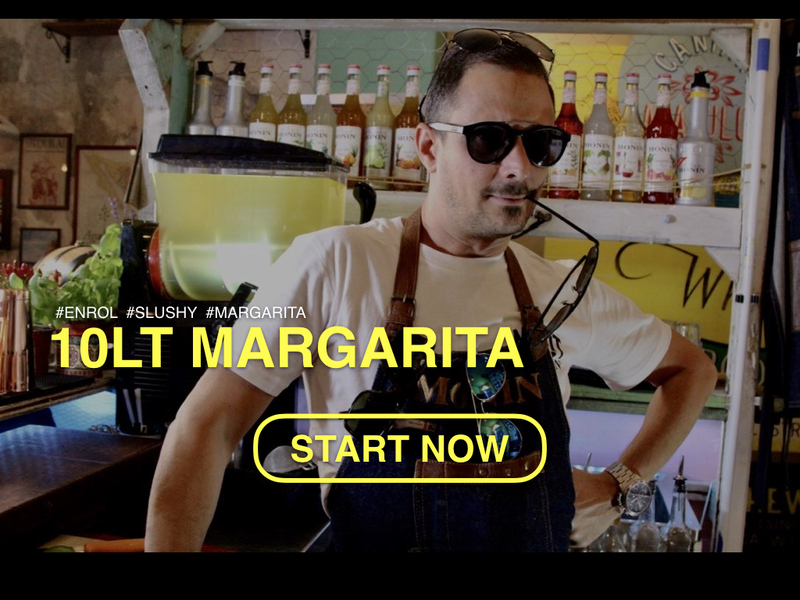 Let’s talk about gender equality in the bartender industry. Why is it you think that there are less women behind the bar than men? A number of reasons. One of them being, that for quite a long time, this industry hasn’t been looked at as a sustainable form of work. So if you were thinking about longevity of your life, your own career, it is a physically demanding job, it requires a lot of late nights and to sort of think about it from a woman’s perspective, we are often raised to think that we have to get married, settle down and have kids. Obviously that mentality is changing and everyone has a different opinion. Some women don’t want to have kids and that’s perfectly fine. So women grow up in communities where they are made to feel like they’re doing something wrong by not wanting to get married or have kids. So it all really depends on the community and the culture of where that person came from. I think because it’s a job that does not make it easy for people to have families and settle down, this makes it harder for women to see themselves wanting to stay in the industry in the long term. Understand, yeah. And about the compromise, do you think that you’re going to need to give up family to stay in it? Yeah, I guess you can say it’s a compromise, but only if you want those things. If you didn’t want those things and you had other goals in life, let’s say if you wanted to be an influential leader, I think it’s a great industry to be in because we are an industry that brings people together. People from all walks of life, the good, the bad, the ugly. They all come through our venues to mingle, to have a knockoff from work, to debrief, to get to know other people. That’s what I think is the good thing about our industry, it brings people together. But the people behind the scenes that make those venues work, the people that operate them, the little guys, it’s hard for us. Even as a guy, I think. If you speak to a lot of my colleagues, my male colleagues, they find it hard to maintain relationships. And a relationship’s something that you find easy to hold down as a result of your job, can you tell? It’s definitely not easy. I’ve been very lucky and fortunate. I’m a very selective person anyway. I don’t necessarily need to have a lot of friends around me. I don’t necessarily need to be in a relationship to feel balanced or satisfied with my life. I’ve been very lucky at the moment where I met someone from the industry, whom I ended up becoming very good friends with and we both share the same ideals and goals in life and he’s been a very supportive part of my life. So I am now where I am mostly because I’ve had that support from him. I always had the same goals regardless of whether or not he was in my life, but he’s made it easy, easier for me, I think in the last few years. What has been your major driver? You’re very passionate driven person, but could you name one or two things that really get you out of bed and gets you going and helps make you the quality standard industry person that you are? That’s a tough question, I still try to find the answer every day. Obviously when times get tough, it does make you wonder why you’re doing this. I think for me, ever since I was little, I’ve always wanted to make a difference in my community, to make a difference in people’s lives. I want people to be happy, I want to be able to create experiences and relationships, to bring people together, and that is probably what drives me to do this every day.